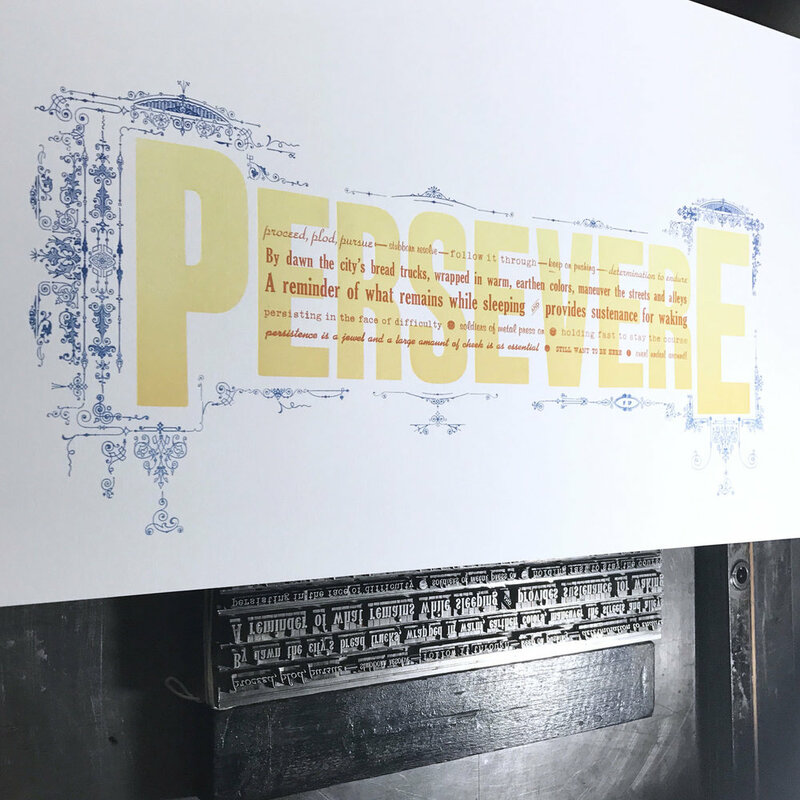 The substantial metal type collection at Starshaped Press is constantly growing and evolving alongside my life experiences that are deeply rooted in Chicago. The urban environment is the backdrop for a type specimen project that will both showcase the studio's type collection and serve as a pictorial memoir of my life in the city. The ten prints will cover the themes of printing, women, labor, music, neighborhoods, architecture and typography. My fellowship at The Newberry Library is the research support for the project and my day to day movement through the city is the spirit. Ten 11x17" prints will be accompanied by support pieces detailing the context and research, as well as the cultural & typographic references in each. Binding details to follow.